I created a template for the Power Pole enclosure using Eagle by adding all of the elements to a layer called milling. This meant I was able to precisely see where the cut-outs and holes should be milled out of the enclosure. 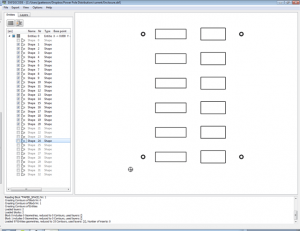 I exported to DXF from Eagle and tried to convert that to G-code but there must be something up with the export as most applications failed to read the file properly. To get around this I printed to a PDF and then imported the PDF into InkScape. I then resized the canvas to fit the import and saved that as a DXF file. 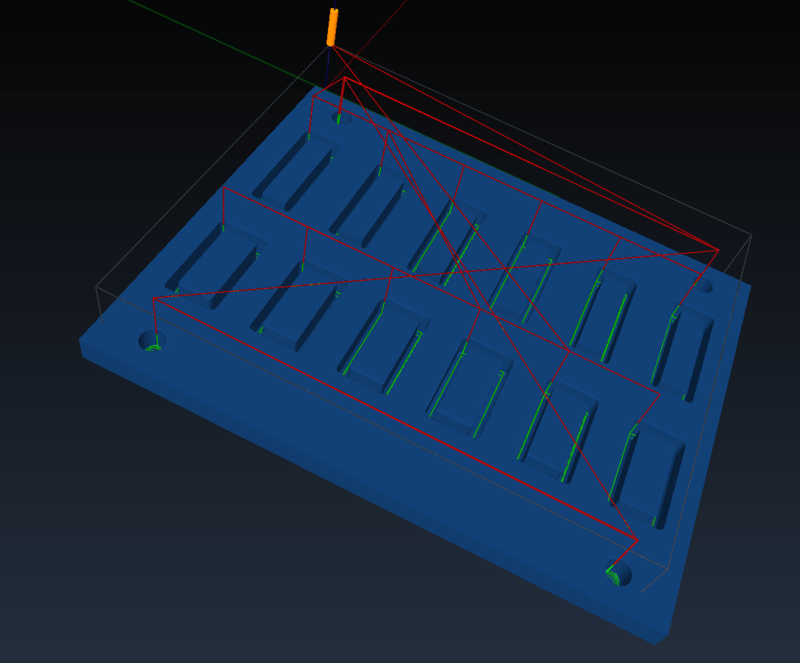 I then used dxf2gcode to convert the file to G-code. This worked pretty well. I then used a tool called OpenSCAM, an Open-Source software which can simulate 3-axis CNC machining to load and render the G-code file. 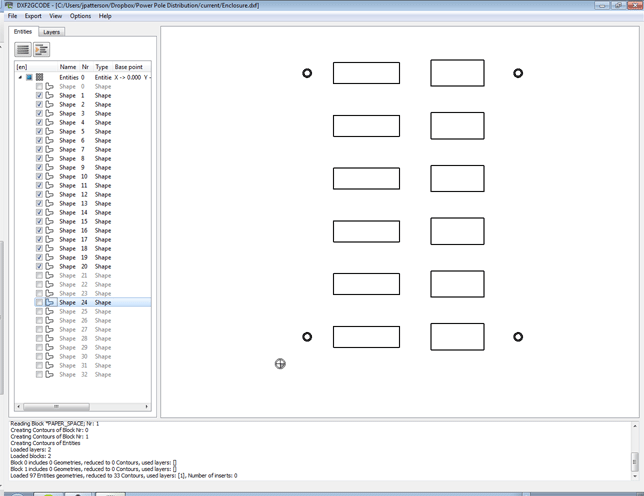 Now I have the G-code generated I just need to find the time to test the CNC machine I built for the first time.